In its final regular season game in the Texas League era, San Antonio dropped an 8-1 decision to Corpus Christi Monday afternoon at Wolff Stadium. Monday's finale was the clubs' final tune up before the postseason. The Hooks quickly took a 1-0 lead in the first when Josh Rojas took Chris Huffman's 0-2 pitch over the wall in right. San Antonio answered in its half of the second, tying the game at one against lefty Brett Adcock with Matthew Batten's RBI-single to right center. Huffman and Adcock proceeded to match zeroes from the third through the fifth. However, in the sixth, the Hooks took advantage of Huffman's exit, tagging Jason Jester (2-4) and Travis Radke for five runs on six hits. Corpus Christi capped scoring in the ninth against Radke with Stephen Wrenn's triple to left center and a Rojas double to right center. Adcock (4-2) allowed just the early unearned run in his six innings. 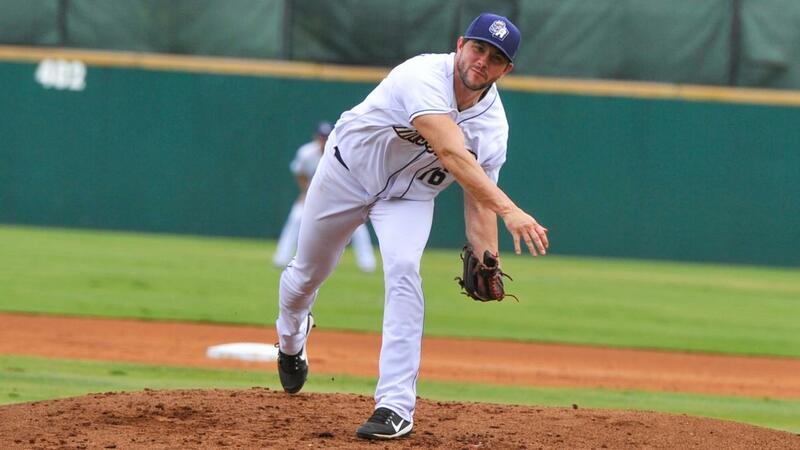 The left-hander limited the Missions to just five hits and a pair of walks. After an off day, San Antonio (29-39, 71-67) and Corpus Christi (39-30, 82-56) will begin their Texas League South Division Playoff Series Wednesday night at Whataburger Field. First pitch is slated for 6:35 PM. Michel Baez (0-3, 7.36) will get the ball for the Missions in game one. The Hooks have yet to announce a starter.